Ms. Noone’s primary responsibilities include targeting and underwriting new acquisitions, analyzing disposition strategies, preparation of financial analysis related to internal valuations, collecting and maintenance of relevant data regarding real estate market conditions and collaborating on asset management decisions for certain of the owned assets in the currently active Brookdale fund(s). Prior to joining Brookdale in 2015, Ms. Noone was a Debt Sales Analyst with GE Capital in Atlanta. Ms. Noone began her career in the Real Estate Assurance group at PricewaterhouseCoopers LLP in New York where she was responsible for the annual audits and quarterly reviews of various public REITs and private equity organizations. 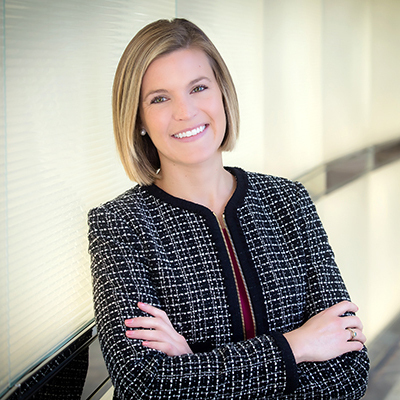 After four years at PwC, Ms. Noone joined Fortress Investment Group, where she was responsible for the consolidation accounting and asset management of a portfolio of senior housing assets across the US. Ms. Noone received a BS in Accounting and a BA in Spanish from Fairfield University in Connecticut, and is a Certified Public Accountant in the state of New York. Ms. Noone is a member of the Georgia Chapter of the National Association of Office and Industrial Properties (NAIOP), where she currently serves as an Executive Director of the NAIOP Future Leaders program. Additionally, Ms. Noone is an active member of the Atlanta Chapter of Next OnBoard.